Rain-like us, as if we were elusive, and volatile but we’ll penetrate the Earth, sperm among worms, we fig to give birth. See, I eat, I scrape the grub, the Lake-studded star Vault will be my candle, when you ‘ll close the eyes I will recognize you. I ‘ll climb up the volcanic cascade range, I’ll break my nails, planted in the rock, stroking your breasts a last time, relying on our Lord love, inalienable, sap of our most blacks hopes of our deepest desires. Once, your body of ice and me we will be snakes, magic circle and seed forever buried, petrified fleshs in absolute terms, their heavy steps will be flights of birds. Nematodes triumphants. Know, the rats do not dance with the Eagles. Your last breath will be blizzard, when I will pull out your heart. You’ll never leave me…. After 8 years of existence, the eco-brothers Weaver from Olympia in Washington State (Nathan & Aaron, respectively vocal-guitar / keyboard-drums) out of the edge of the Woods (hidden no doubt behind a thick red curtain…) and under the mysterious surname “Wolves In The Throne Room” lay a new stone in their darkest work. New log that this third dark and majestic opus of the announced tryptic, “Celestial Lineage” reap our souls as death mowing our ultimate ignominy. After the previous “Two Hunters” (2007) and the vindictive and luminous “Black Cascade” of 2009 where almost they touched to the sublime, taste friend here the new offering. Claim of reducers strictures, moves such a Viper this tortuous metal, grit, black in its transcript but dazzling in its remarks. Post avant-garde Black Metal, pagan in intention and in the acts, in its musical treatment (its radicalism and integrity that flows from the closer Anaal Nathrakh and Neurosis, the best of both worlds in short…. ), hate in echo (Burzum and Darkthrone spirits are summoned), this malleable, living, perfect biothope for hatching a Metal potting soil capturing the power of the Sun as a proud Maple and drawing his natural authority from the inmost depths of the soil, this potting soil fills us, nourishes and satisfies us. It is art we are talking about, when Black Metal found its core identity, vocation: illuminate the Darkness. 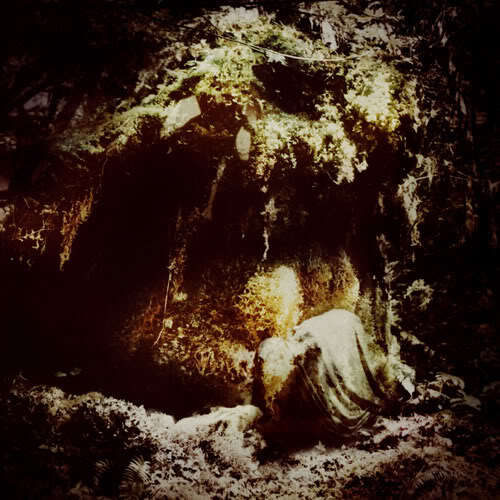 Produced by Randall Dunn and with Jessika Kenney’s faithful vocalizations, Wolves In The Throne Room again installs masterpiece among their new album. Progressive, majestic, epic and introspective 7 parts (including two interstitials air, possible minerals) are a trip at the end of the Earth (deer hunters ?…), in the caverns of the human psyche, in the swamps of our announced common future. “Prayer of transformation” (and its 11 mn as a chill wind), a telluric doom end to this absolute masterpiece, perfect epitaph for such purpose: magnify the elusive. From the depths of Black Metal from Scandinavian obediance and experimental music, contemplative, naturalistic, folk in its american gnarled roots, Wolves In The Throne Room here dig foundations (even if Agalloch had marked field and in the meantime the brave Falls Of Rauros) from which arises a solid building (new Church? ), reformist basement of a scene (did I say the word “mindset”?…) often narrowconservative and cautious. Before Black Metal was of flesh and blood.